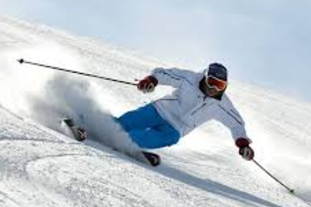 Activities to enjoy beside skiing or riding: Nordic Skiing, Sleigh Rides, Ice Skating, Tubing, Dog Sledding, Horseback Riding, Sleigh Ride Dinners, Shopping, Art Galleries, Day Spas, Winter Fly Fishing, as well as………….. Strawberry Park Hot Springs - Just outside of Steamboat Springs nestled alongside Hot Springs Creek lies one of the most spectacular mineral springs in the world. Imagine relaxing in 104-degree mineral water while Steamboat’s famous Champagne Powder gently collects in the surrounding forest. Snowshoe Tours - Snowshoes allow you to get to areas even the most experienced skier cannot reach. 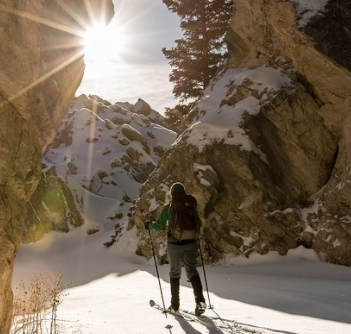 Enjoy the outdoors Steamboat Springs has to offer on snowshoes. Choose a guided tour or explore on your own. 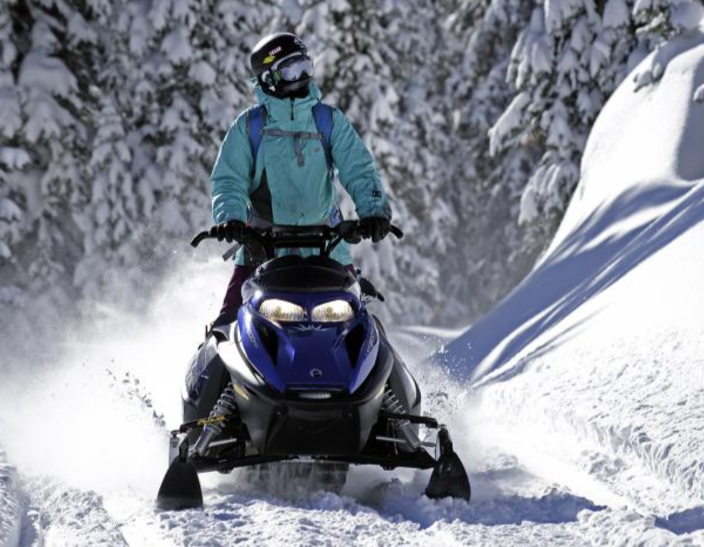 Snowmobile Tours - Need to give your legs a break? Want to see the back country? Come out for a 2, 4 or 6-hour snowmobiling tour. Rabbit Ears Pass is just down the road and operates at above 10,000 ft. This area is one of the top ten snowmobiling terrains in the country. Hot Air Balloon Rides - Cross this off your bucket list. 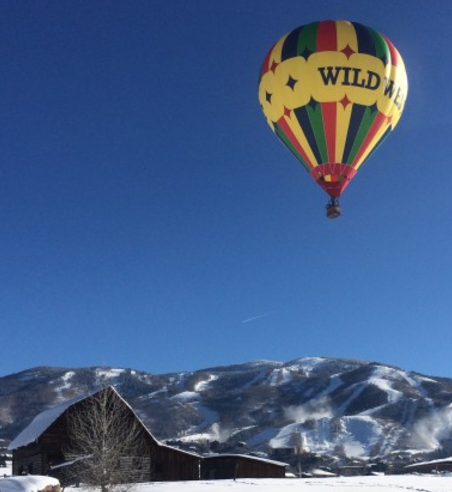 Enjoy a hot air balloon ride with Wild West and Pegasus Balloon Adventures. 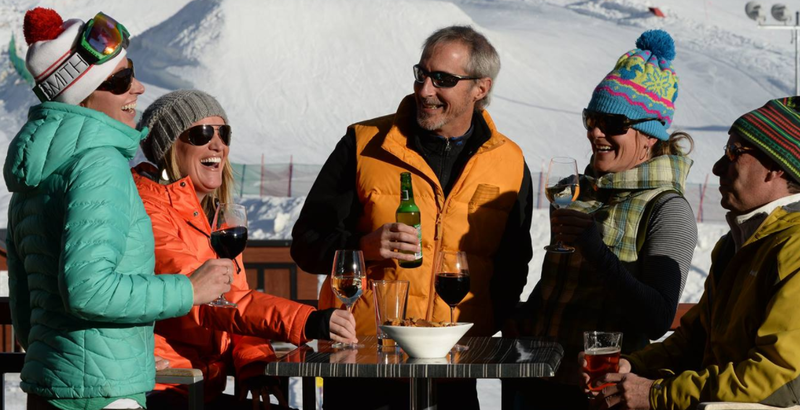 After the ride, celebrate with a traditional Champagne toast and a personalized flight certificate. Enjoy the ride! This is a direct fight. 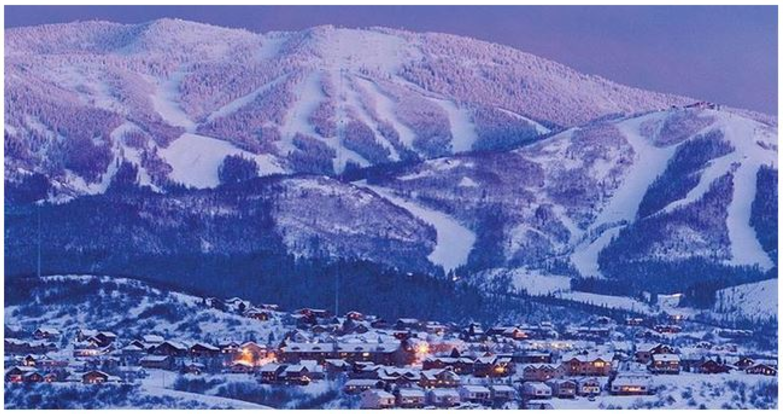 Considered one of Steamboat’s finest locations for families, ski clubs/groups, reunions or business retreats. 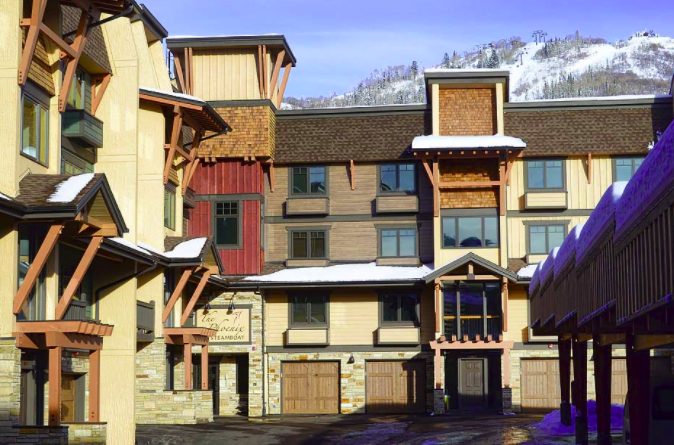 The property is conveniently situated directly across the street from the Steamboat Ski Area. 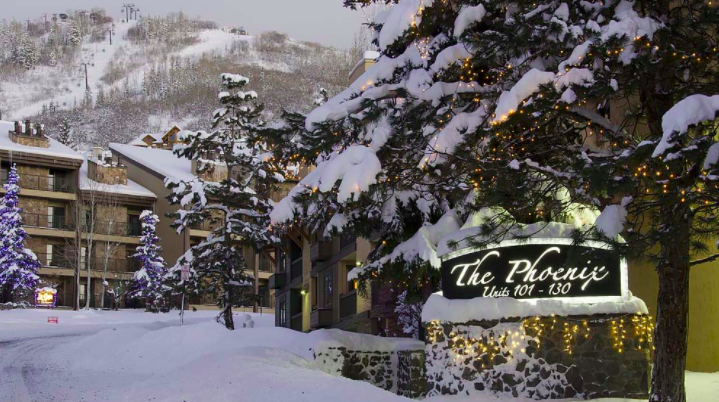 The Phoenix offers comfortable furnished accommodations, which are easy walking distance to the Steamboat Gondola and all base area shops and restaurants. 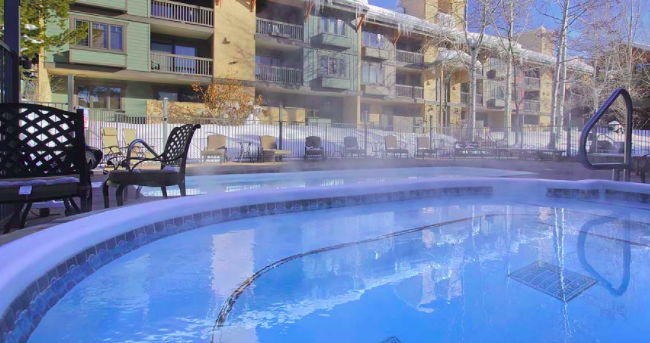 Additional amenities include One Car Heated Garage, High Speed Internet Access, Balcony or Patio Area, Fully Equipped Kitchens with microwave, dishwasher and coffee maker, Cable TV & HBO/VHS or DVD player, Gas Fireplace, Washer/Dryer and more. The complex includes Exercise Facility, Outdoor Heated Pool, Two Outdoor Hot Tubs, Clubhouse, and more. 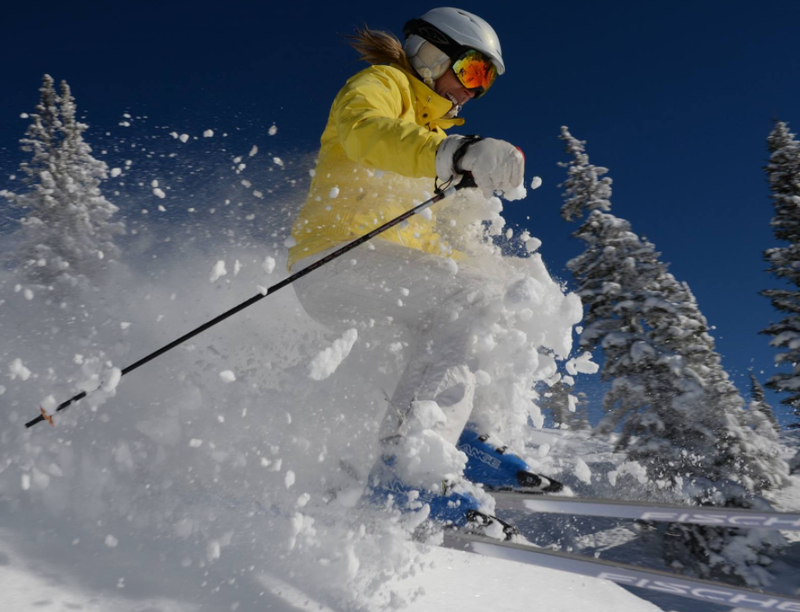 A shuttle service for transportation to grocery stores and downtown Steamboat is also available.